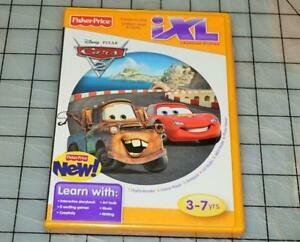 Details about Fisher-Price iXL Cars 2 NEW Learning System Disney Pixar NEW SEALED! Fisher-Price iXL Cars 2 NEW Learning System Disney Pixar NEW SEALED! Payment must be received within 4 business days. If you have any delay in the payment process, please let me know and I will be happy to work with you. An Ebay automated non-paying bidder entry will be filled after 5 days if payment has not yet been received. Payment questions are always welcomed through the Ebay email system. Thank You.